Family Trolley Bag,Family Vacation Trolley,Travel Bag, Full grain large trolley, Rolling Luggage, Leather Trolley,Holiday Bag, Leather Bag. 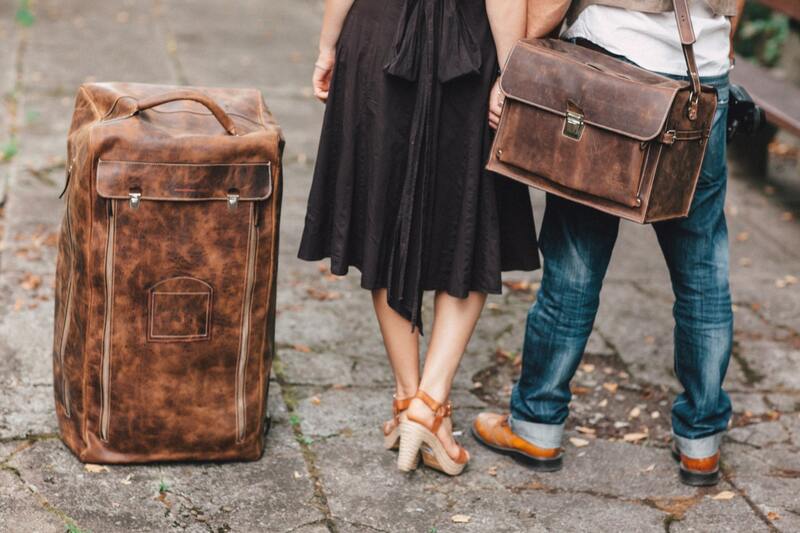 This was designed to be the perfect and one and only bag for a couple traveling. If you travel for a week you will not going to need his and hers bag, you will need only this huge trolley for both of you and for your little baby if you have one. Special 74street design details, stittches in contrast, tic-tuc old school upper closure. 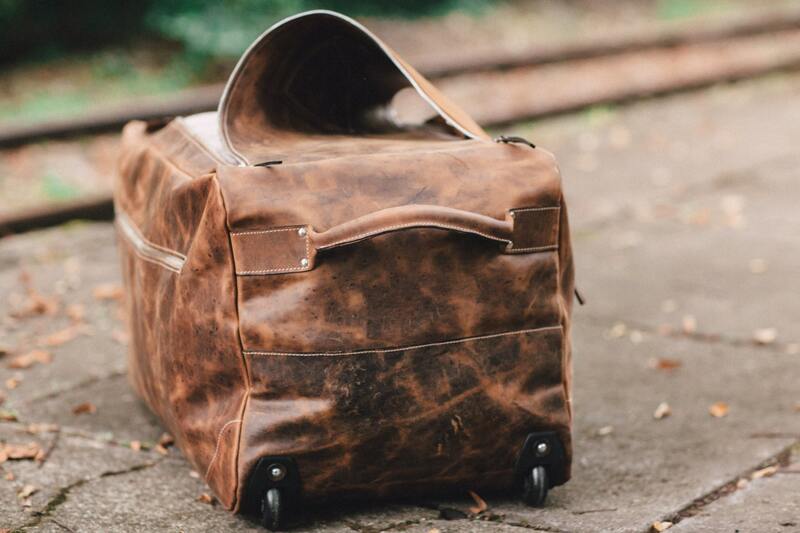 This is a sturdy but not have weight, a safe and economical luggage when it's about the space in your bag. We love to keep things together, clean and organised. If you are that kind this family trolley will be your best friend. We can make it even bigger if you want. Please write us the exact size you need for tha hand trolley. NOTE: This bag - as all of our bags - is a hand made item, not a "handmade used technique, somewhere in factory as a serial product" This is actually hand crafted from the beginning to the end. It's made by artists wits years of experience ( me and my husband) not by workers. 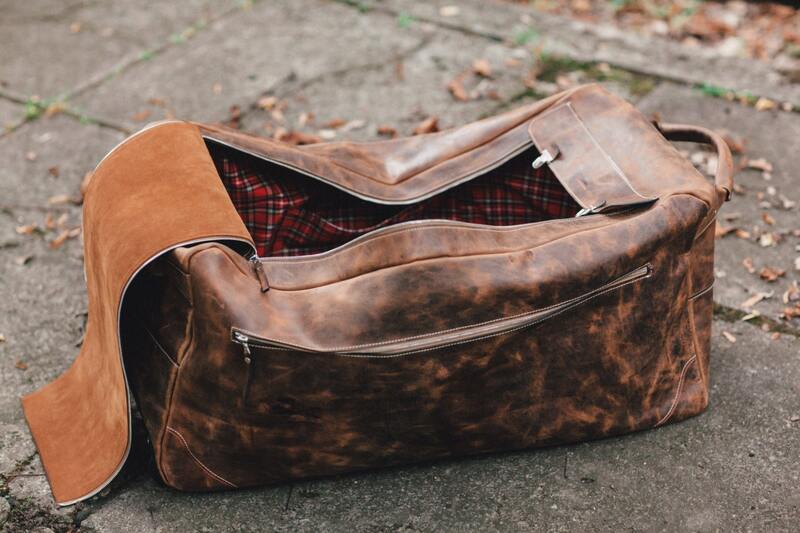 It takes days to craft a bag like this. Thant's why we are kindly asking for your understanding for two or tree days for crafting it. Thank you!